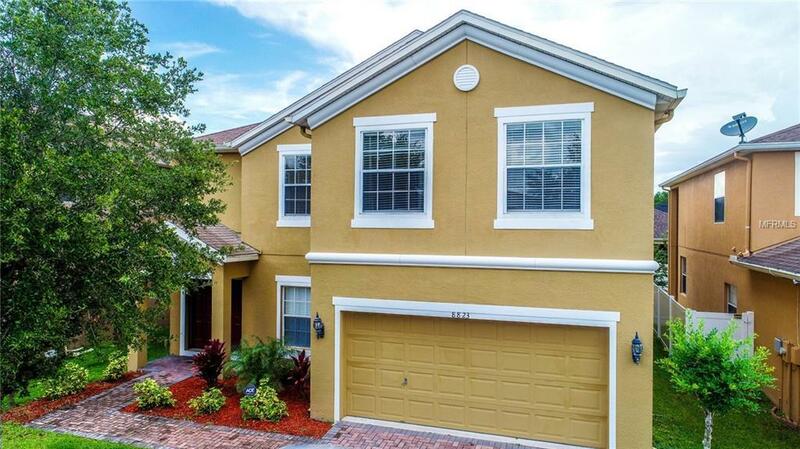 This spacious 2-story home, located in a quaint neighborhood is the perfect family home! Located minutes away from shopping and restaurants. Beautiful brick pavers lead to a 2-car garage. The kitchen features a stainless steel side by side refrigerator, an electric range, built-in microwave, dishwasher, and a small breakfast bar. Upstairs, you will find an enormous master bedroom with two walk-in closets. The master bathroom is bright and beautiful with double sinks, a shower stall, and a separate garden tub. Conveniently located near the bedrooms, you will find the laundry space with built-in shelving. Walk outside to the rear porch to enjoy your morning coffee or grill with friends and family. The fenced-in backyard is huge and perfect for pets or young ones to run around. Your new home is waiting for you!